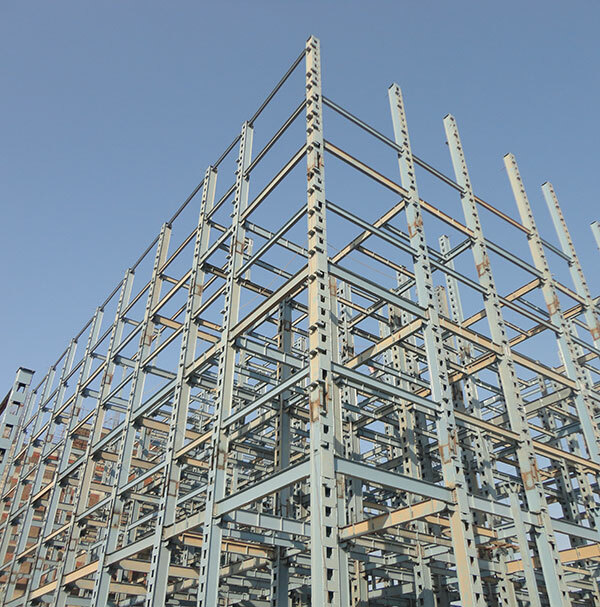 Indiana continues to be an early mover into new verticals and anticipating the growing demand for shop fabricated structural steel over site fabricated structural steel, Indiana set up a state of the art fabrication facility in Jejuri, near Pune. The advantages of shop fabrication over site fabrication are excellent welding quality, dimensional accuracy, faster delivery in volumes and long lasting paint finish. In our endeavor to establish a world class facility, Indiana has a series of machines imported from USA which includes band saw machine, plate processors and beam drilling machines. Indiana fabricates steel structure using section of various international standard like, EUROPEAN, ENGLISH, JIS, IS and AISC. The sections that are used from the above standards are UC, UB, HEA, W, ISMB, IPN, UPN and PFC of various sizes which are uploaded in our CNC data bank for processing as required by the customer drawings.